Why do opposites mate? Despite being polar opposites they match up anyway, though it’s a sure recipe for disaster. Do they care? Heck, no. Take MG and me–he of the walking atomic furnace and me of the cold hands, feet, and nose. At the moment, MG is sitting in his precious recliner barefoot. It’s winter. It’s January. It’s freezing cold. Oddly enough, his feet didn’t get the memo. Mine did. 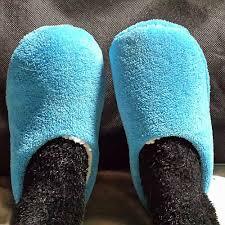 I’m wearing warm fuzzy socks and slippers. I’m also wearing sweatpants and a sweatshirt under a heavy flannel shirt to keep the rest of me warm. I’m dressed in more than one layer. MG finds one sufficient or he’ll “roast alive.” Well, so he says. Having endured menopause, it’s all I can do not to laugh. 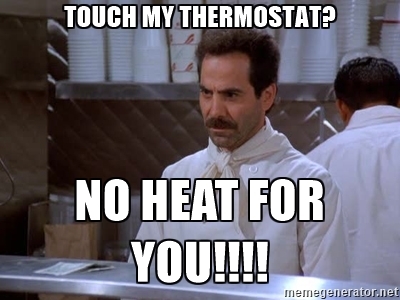 MG won’t let me touch the thermostat while he’s around. You’d think it was the TV remote control. Come on, what can it hurt to raise the temperature one little old degree? A lot, apparently. If I make a move in the direction of the thermostat, he considers it an act of defiance akin to war. His solution is always the same: wear something warmer. Oh, sure. 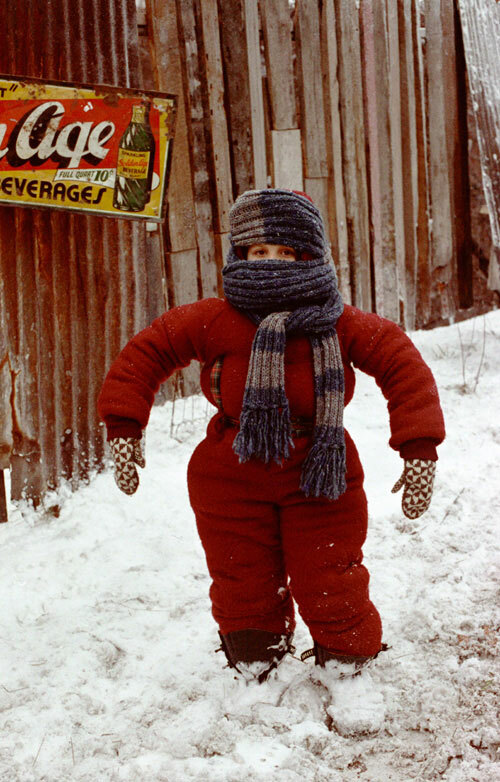 If I wear one more layer, I’ll look like the snowsuit-wearing little brother in A Christmas Story. Bedtime is another hot/cold hassle. Here it is January, the deep freeze of winter weather, and MG still sleeps in shorts sans shirt with one lower leg sticking out from under a flannel top sheet and a blanket. In no time, the rest of him joins his lower leg in sticking out from under the flannel top sheet and blanket. I, on the other hand, wear flannel PJs and fuzzy sleep socks. 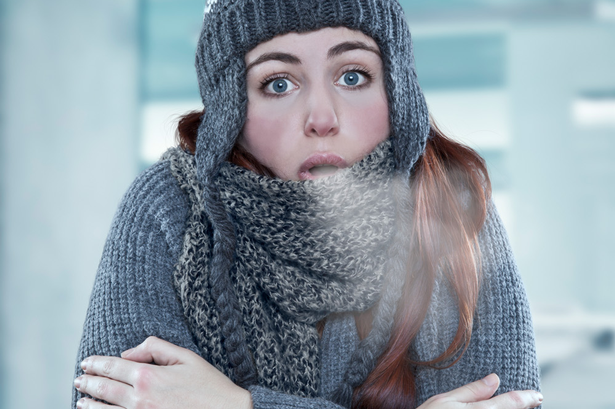 I sleep under the flannel top sheet, the blanket, and an extra blanket folded over double–on my side of the bed only–and I’m still shivering. Well, I was still shivering. Not any more. The good news is that we solved that particular hot/cold problem pretty much by accident. We wanted to buy flannel sheets for the Sleep Number bed that we bought a short while ago, so we revisited the Sleep Number Store. We learned that Sleep Number doesn’t carry flannel sheets. Bummer. 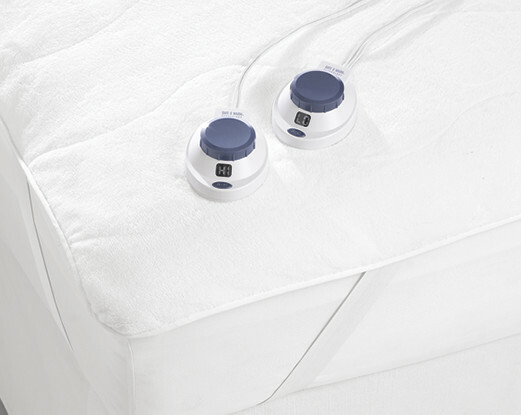 The fuzzy winter sheets they had didn’t appeal to us, but then the sales rep showed us an electrically powered accessory known as a warming layer. My heart skipped a beat when she explained that it fit between the mattress and the mattress cover and heated one’s body from below. In addition, she informed us that it had dual controls. I could adjust mine to the amount of warmth I desired, and MG could leave his turned off. I almost kissed her. All I have to do now to be toasty and warm while I’m awake is figure out a way to mess with the thermostat in the hallway without being caught by The Thermostat Nazi. Any suggestions?